On the 16th / 17th January, the entire Year 9 cohort participated in First Aid Workshops, facilitated by The British Cross. Students learnt essential first aid skills, including how to help someone who is unresponsive, not breathing, bleeding heavily or burnt. They also learnt how to assess and manage risks to make informed choices when helping others. The facilitator shared emotional stories of how she had to carry out CPR on both her father and uncle, both of whom had suffered a cardiac arrest. Sharing such powerful, personal stories really brought home the reality of First Aid and its importance in saving lives, and sometimes even of our very close family members. The timing of these workshops is very pertinent since new government proposals will be making the teaching of First Aid statutory from 2020. Here at SPWT, we are well prepared with our extensive range of enrichment activities, all of which contribute to developing the wholesome SPWT Graduate. First Aid is one of those key skills which is essential for our students to become Global Citizens. St Paul’s Way Trust students are celebrating having achieved an exceptional set of GCSE results; the best in the school’s history. The School and the VI Form has been graded by OfSTED as ‘Outstanding’ since 2013 and this year’s results are, once again, amongst the best in East London. A record number of students were awarded the top grades, with student progress once again significantly above the predicted national average. A few individual success stories from GCSE results day include Labib Khan achieving seven grade 9s, one A* and one A** in Further Maths, the top grade possible. Jenny Hunyh also achieved A** in Further Maths, along with six grade 9s, two grade 8s and two grade 7s. Other top performers include Ibrahim Thasin with five grade 9s, and one A*, Alana Alberto-Assiss with five grade 9s and Tanzim Chowdhury with five grade 9s, four grade 8s and one grade A. The proportion of students achieving the Government’s ‘Good Pass’ benchmark and top grades, (9-7) in English or English Literature, continues to sit well above the national average; the picture is the same for mathematics and a wide range of other subjects including Triple Science and Modern Languages. 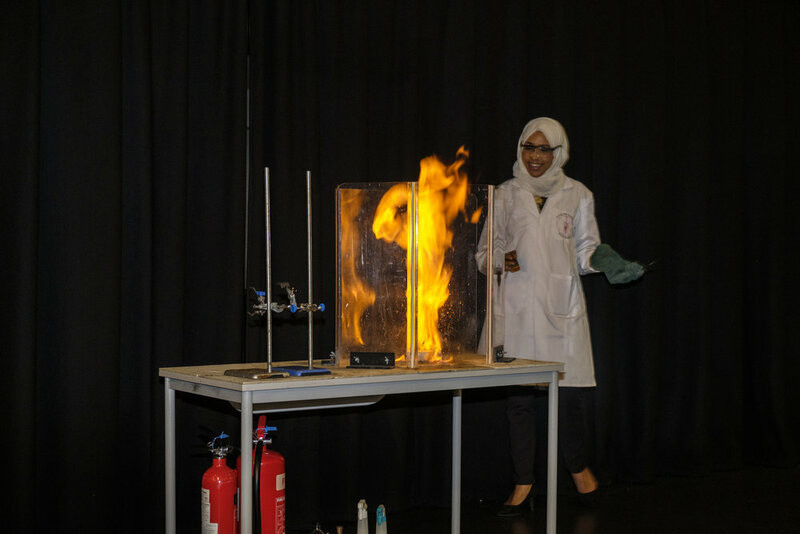 Once again SPWT students have excelled, not only in the academic EBACC subjects but also in creative subjects such as art, drama and music (music being one of the school’s specialisms). 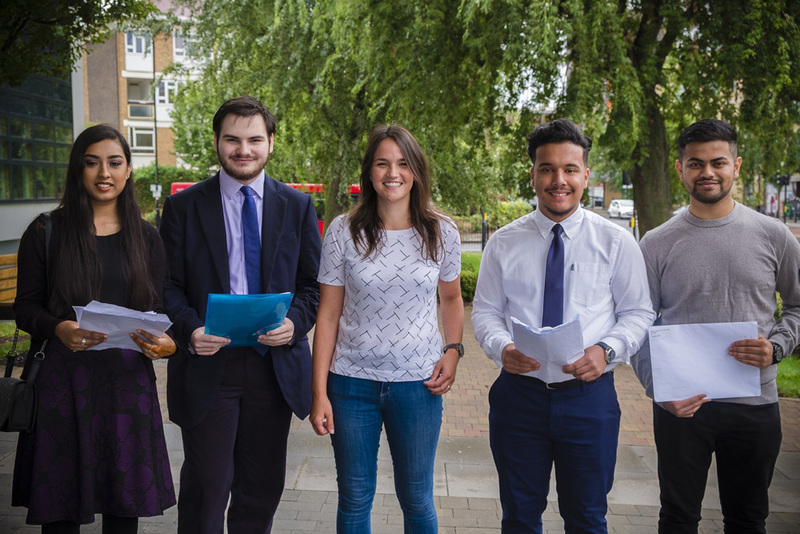 These results build on last week’s superb A level results as SPWT sixth formers exceeded their personal goals and are now looking forward to exciting futures. Among the many successful students are Ijaz Choudhury with three A* grades, securing The Barts & The London Medicine Scholarship worth £75,000 over seven years, organised in collaboration with our Trust Partner Queen Mary University of London. Alexandra Pricop with three A grades is also going on to study Medicine at Kings College London. An impressive 96% of this year’s cohort are moving on to university pathways with the remaining 4% accessing high-quality school leaver programmes. Approximately 60% of students have secured places at top ‘Russell Group’ Universities.